With July temperatures pushing 40°C, summer in the desert can be unrelenting. But once autumn arrives and the mercury drops, Arizona becomes a comfortable destination for outdoor pursuits. For adventurers looking to trade crunchy leaves for prickly pears, and tall trees for mighty saguaros, Phoenix’s next door neighbour, Mesa, is making waves. Here are four ways the outdoorsy crowd can get their active fix. Cool, refreshing waters are felt up and down the Salt River and in its four artificial reservoirs. It's here where visitors can try their hand at a variety of water sports that include kayaking, stand up paddleboarding, and river tubing. 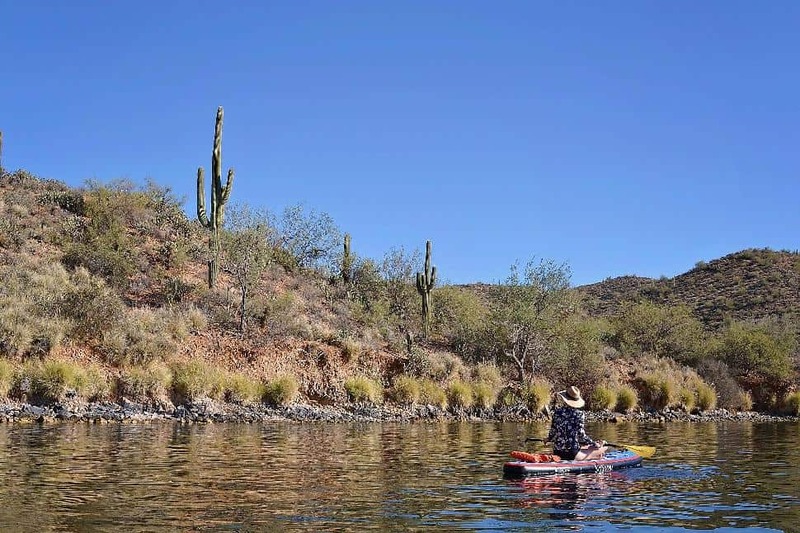 Kayakers and SUP-ers can head to Saguaro Lake, Canyon Lake, Apache Lake and Roosevelt Lake where calm waters allow novices plenty of practice finding their balance. These placid lakes are especially beautiful during sunrise and sunset. Experienced paddlers should still heed the advice of locals: high noon under the hot Arizona sun is not the best time to paddle. SUP rentals and guided instruction are available at No Snow SUP, which is located in close proximity to Tonto National Forest and the Salt River. Those seeking a more leisurely excursion can float the Lower Salt River from May to September when water levels are highest. Depending where you enter, river floats can last two, three or five hours. Urban cyclists can now rent bikes by the hour from the city’s newly installed Grid Bikes. There are multiple pickup and drop-off points around the city, so you can stop for a bite to eat, pick up a souvenir and then return your bike when you’re done. 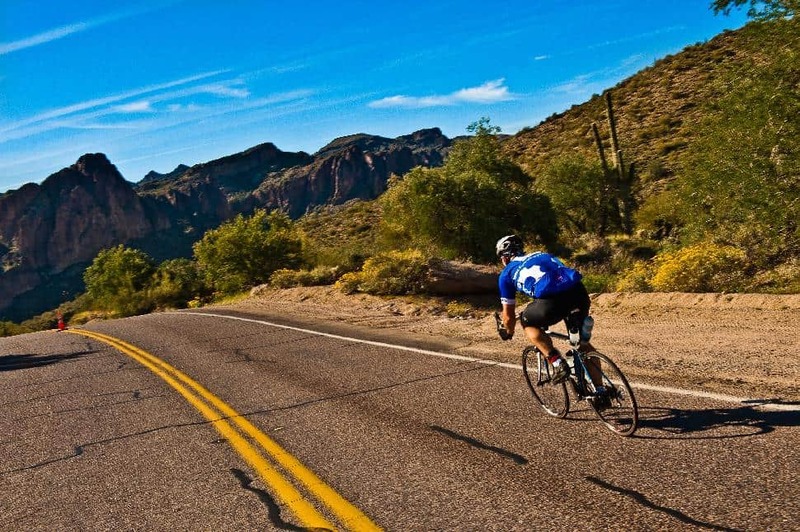 For those who take their cycling a little more seriously on either road or mountain bikes, Mesa offers some of the most beautiful desert routes in the Southwest. Usery Pass is a 33-km loop that leads cyclists through Usery Mountain Regional Park, marked by a desert backdrop and thousands of goofy-arm saguaro cacti. The loop then swings east, running parallel to the Salt River. This popular and scenic route has been used by the United States Cycling Federation. Find your people each April when road cyclists compete in El Tour de Mesa. The 50-km or 100-km route winds around Red Mountain, Scottsdale, Tonto National Forest and Mesa. San Tan Mountain Regional Park - features an 8-mile network of trails ranging in length from 1.1 to 5 miles. There's something for everyone with trails rated easy through challenging. 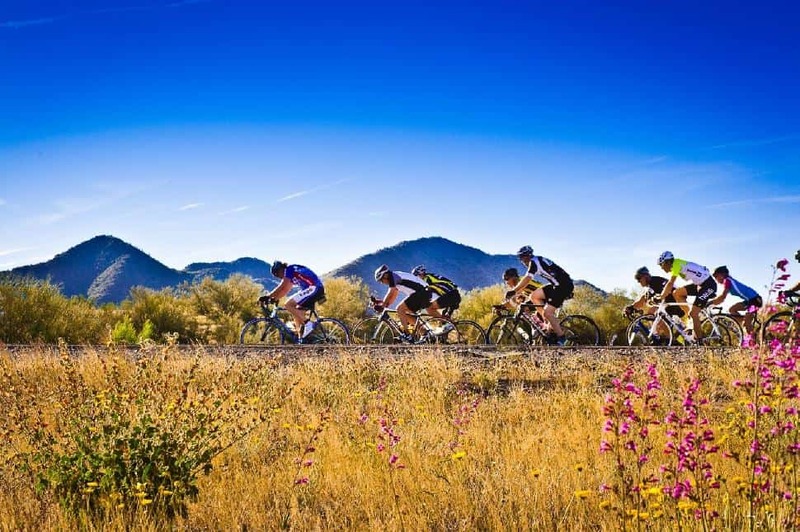 Pretty as a picture, San Tan offers riders an interesting look at the lower Sonoran Desert landscape. Usery Mountain Regional Park - features a 29-mile network of multi-use trails that are sure to excite cross-country mountain bikers. Again, trails range from easy to strenuous but riders will notice that Usery trails offer up gorgeous panoramas thanks to its higher elevation. Red earth, unique rock formations and exotic flora and fauna make desert hiking quite the novelty for travelling Canadians. With low, scrubby vegetation, way-finding shouldn't be an issue so much as keeping hydrated. Here are our top three trails for hiking in the Mesa-area. About Wind Cave Trail: This moderate trail in Usery Mountain Regional Park (pictured above) is a popular one, terminating at a cave. A steady seep of water from the cave's roof supports rock daisy blooms. Geologically speaking, the cave lies along a seam where volcanic tuff meets granite. Ascending the trail takes much longer than descending, but loose pebbles mean one should take extra caution when coming back down. Treasure Loop Trail is one of five trails in Lost Dutchman State Park. 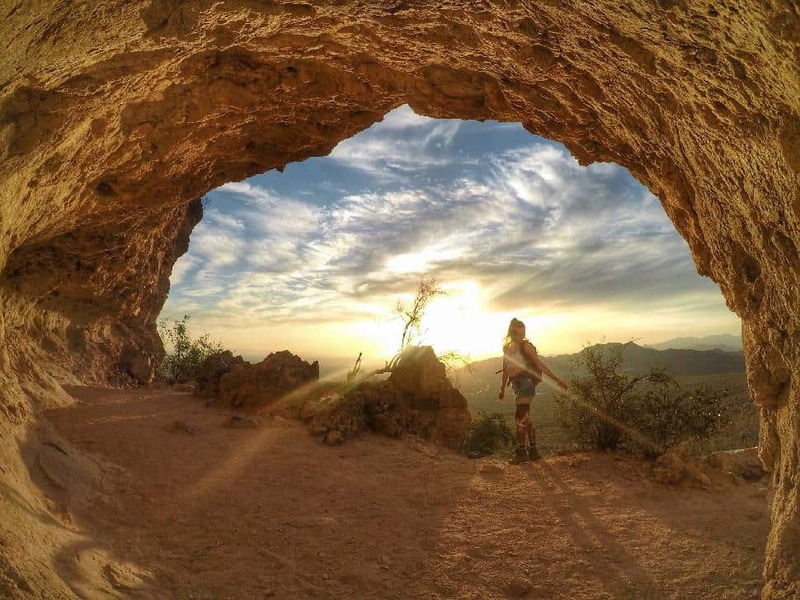 This route leads hikers right up to the foot of the eye-catching Superstition Mountains. Keep your eyes peeled for desert flora (buckhorn cholla, saguaro) and small animals. Lizards are particularly common and if you’re lucky, you may see cacti blooms in shades of cream, pink and yellow. Don't be fooled by the relatively short distance, this trail weaves up into a canyon (Siphon Draw) and requires some hand climbing. The reward is a very scenic view of the area. It is possible to hike up the Flatiron, however that spur can be considered a wilderness one at times. Allow three hours for Siphon Draw and five hours to the Flatiron and back. Good hiking boots are imperative. Follow the white and/or blue dots to ensure you remain on the trail. Desert sunsets are a thing of beauty, and the American Southwest boasts some of the most dramatic in the world. Vibrant pinks and deep oranges paint the sky as the sun sinks into the horizon. What better place to admire Mother Nature's handiwork than from a desert campsite? Whether you prefer wilderness or designated camping, you'll be spoiled for choice in Mesa. 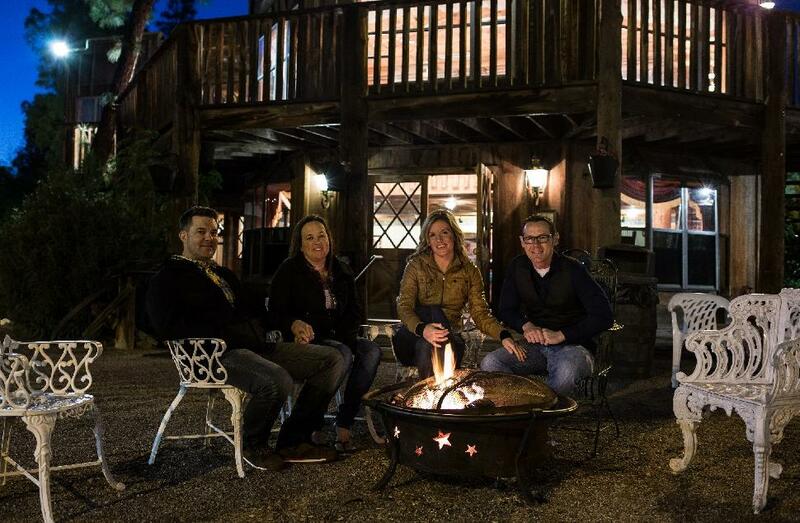 There are over 250 campsites and many offer amenities such as water, electrical hook-ups, picnic tables, barbecues, flush toilets and hot water showers. Usery Mountain Regional Park has 73 individual sites for camping and is a great base for exploring the area. Lost Dutchman State Park on the Apache Trail has 134 sites from which to hike, bike or photograph the Sonoran desert. Canyon Lake Marina & Campground: 40+ campsites, RV sites with water and electric and pull-through, picnic areas, fire ring/grill, shaded ramadas, showers. 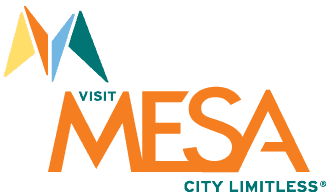 Have you adventured in Mesa? Let us know what you did and where you went.